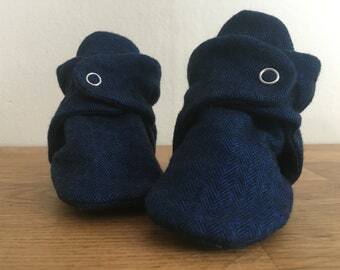 Baby Booties cut and stitched by hand and machine. Adorable booties!! The fit is great! These are the first booties I have found that don’t fall off my babe’s feet. Beautifully made, soft booties. Great fit and quality! I purchased all the sizes! Love this shop. Shipped in a timely fashion. These little booties were absolutely perfect!!! !